By a vote of 6-0-1 on Monday, March 18, the HRMC directed City staff to prepare formal papers designating the Howard-Abbott House at 445 Russell a Davis Landmark. According to a March 19th letter reporting this HRMC action (reproduced as part of this post), the HRMC hearing on this proposal will be held on Monday, April 15th. 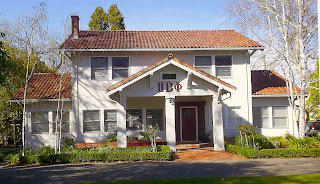 Yesterday, I received information on the College Park home at 225 Russell that is so delightful that I decided to put aside the post I had scheduled for today and to publish this new material in its place. The information consists of an email and four photographs from Janet Wright and her mother Bettie Rosa Williams in Ocean Springs, Mississippi. I think the information is self-explanatory and I reproduce it with their permission. A few weeks ago, the owners of the property called 445 Russell applied to the City to demolish the garage behind the main building there. Because the main building and garage were constructed in 1923-4, city planners applied the City ordinance requiring that buildings constructed before 1945 proposed for demolition be evaluated for their significance as historical resources. Continuing to follow the ordinance process, the planners then contracted with a historical resource consultant to conduct an impartial evaluation of historical significance. 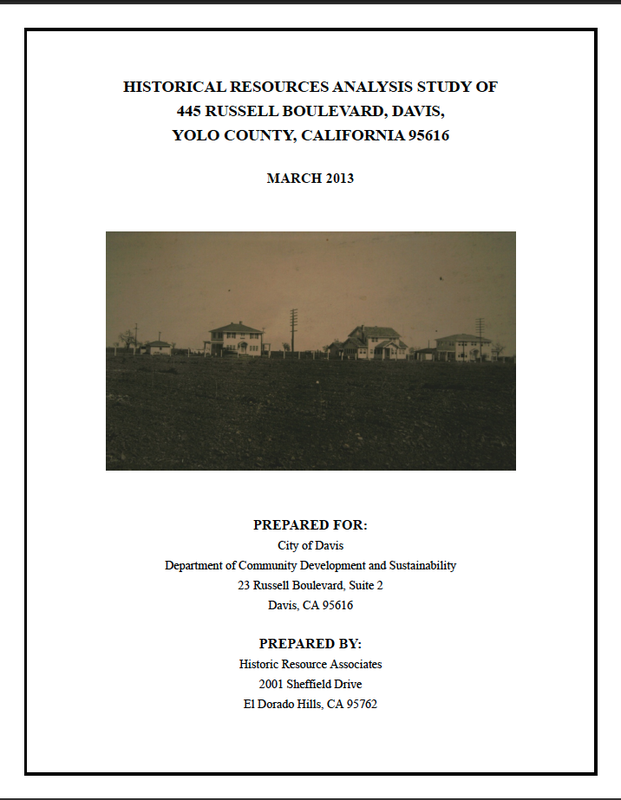 That consultant--Historical Resource Associates (Dana Supernowicz, principle author)--presented it's written evaluation to the City this last week. 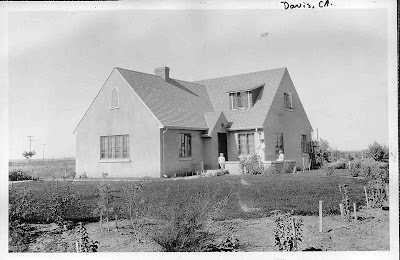 This is the third in a series of posts on Jake’s Addition on Russell and the Howard-Abbott Home at 445 Russell. 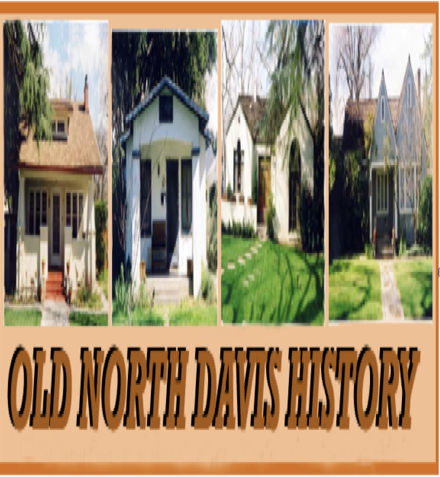 People interested in Davis’ historical resources might want to attend the Monday, March 18th hearing in which the HRMC will deliberate the historical significance of the Howard/Abbott Home at 445 Russell Blvd. For details, see the agenda reproduced here. 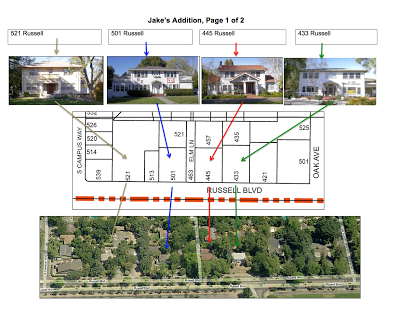 This is the second in a series of posts on Jake’s Addition on Russell and the Howard/Abbott House at 445 Russell. 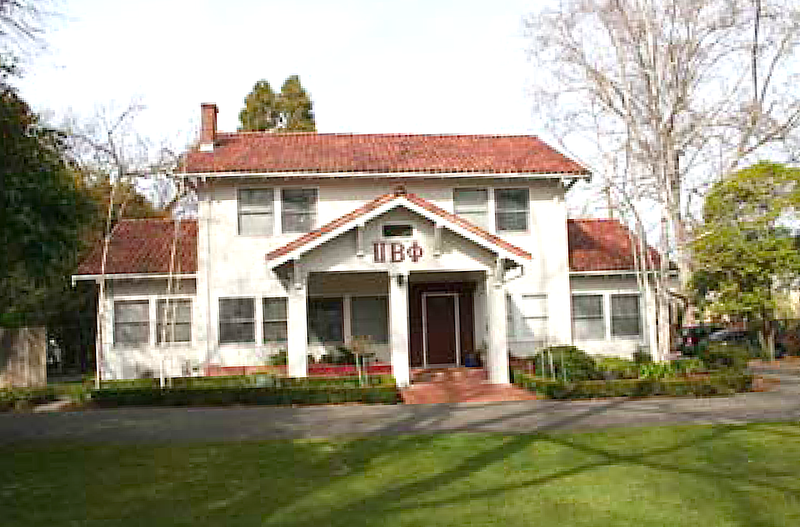 The next post will be the HRMC agenda announcing a March 18th public hearing on the historical significance of that property. 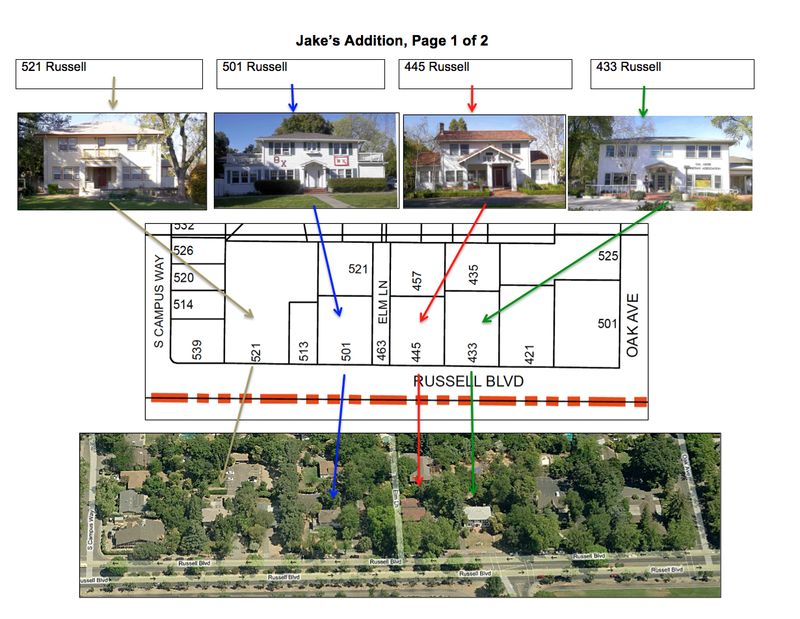 This is the first in a series of posts on “Jake’s Addition” on Russell Boulevard and the Howard-Abbott House at 445 Russell Boulevard. 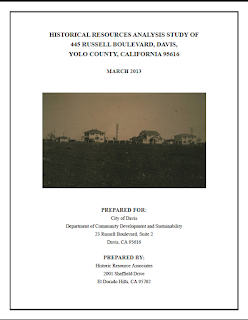 Because a public hearing on the historical significance of the Howard-Abbot House has just been announced for Monday, March 18th at the Hattie Weber, posts relevant to that hearing will appear before then. 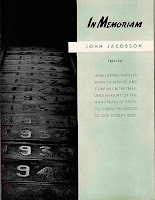 In recently mucking about in a new-to-me corner of Davis history, the name John Jacobson kept turning up. 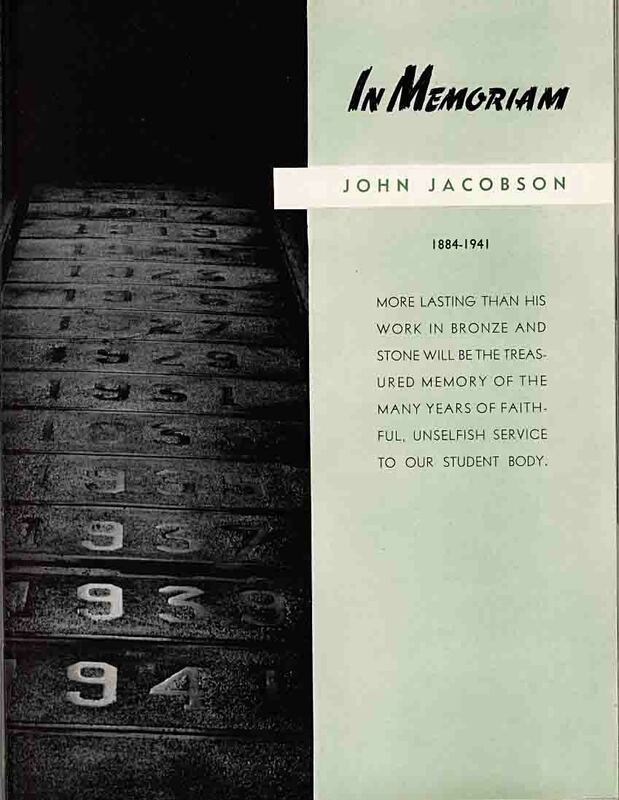 Piecing together various mentions, Mr. Jacobson rapidly came into focus as a figure of considerable significance in the 1910s, ‘20s and ‘30s. But alas, to modify an elegant cliché, he is a person time forgot. 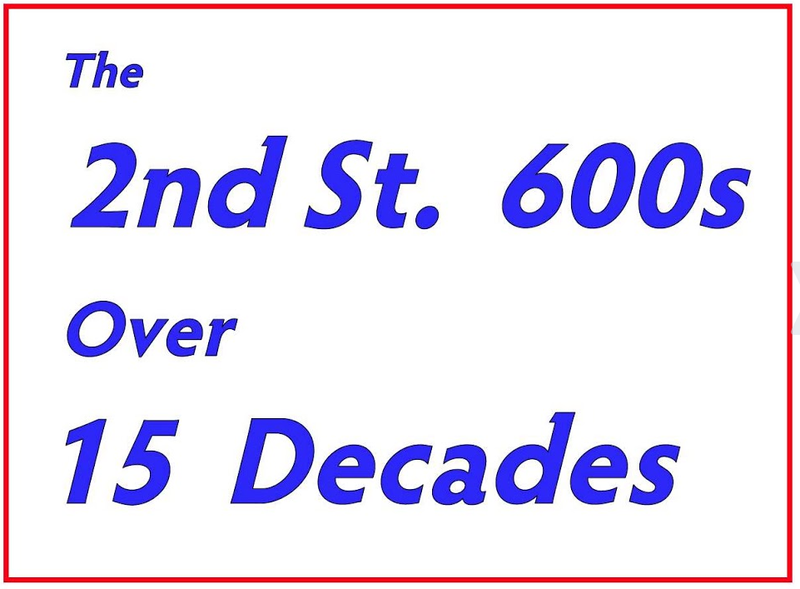 The good folks at the Davis Senior Center, 646 A Street, have a timeline display of that organization’s history mounted on the wall at the west end of the Center’s main hallway. This post consists of “teaser” excerpts from that exhibit as a way to encourage readers to go around to the Center and view the real thing.